The season two finale of Downton Abbey was jammed packed full of drama, plot developments, and game changers. But nothing was as great as the prospect of Lady Mary running off to New York. It wasn’t just Lady Mary & New York (even though Lady Mary on her own is usually enough reason to love something), it was that head housemaid & general moral compass, Anna, asked if she could accompany her (to escape her own drama). 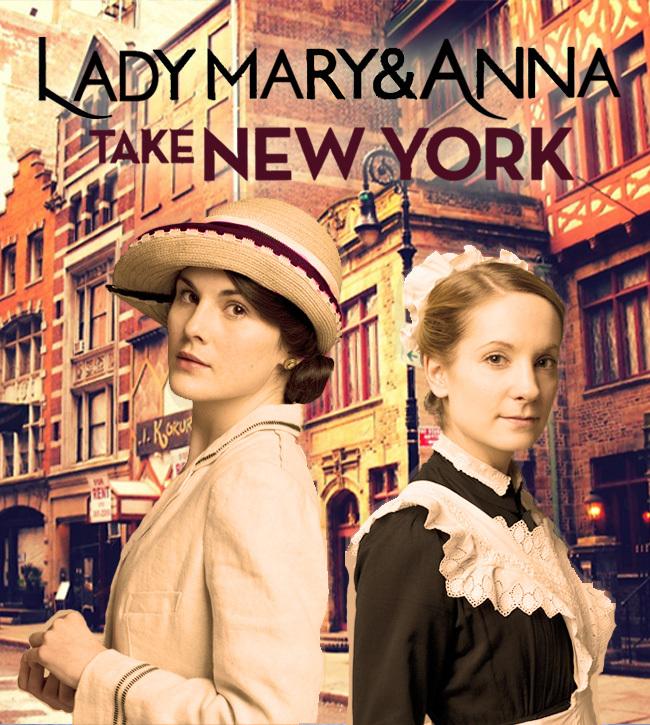 Basically the rest of the episode was lost on me as I thought about how brilliant the spin-off series/webisodes/okay I’d take one episode of Lady Mary & Anna in New York would be. So of course I had to create their promo poster. This show, however, won’t be airing on E! Ah, what could have been!